STAR Hospitals offers excellent medical care and support services to patients from all over the world. With top doctors, surgeons and specialists, we offer international patients the highest standard of medical care and treatment. At STAR Hospitals, we understand the unique needs of international patients like you. Our high-quality, innovative and customer-focused specialized services are tailored to suit the needs of each of our patients. These services begin the moment you contact our International Patients Services department, and continue throughout your stay. Our international healthcare experts can help you plan your trip, give you advice on obtaining a visa, and answer any questions you may have about receiving care and treatment overseas. Get in touch with us today to learn more about how we can help you. Below is a list of specific services we provide. Please don’t hesitate to contact us with any questions. STAR Hospitals is on a mission to improve the quality of healthcare in India. Established in 2008, we’ve grown remarkably in the past decade. Today, our hospital covers 24 specialties and situated in a beautiful part of the city. STAR Hospitals is also home to exceedingly proficient doctors, all of whom are experts in their own fields. Our aim is to make patient experience absolutely hassle-free and comfortable. We strive to ensure that you not only feel at home, but also return to your home country in good health. At STAR, we cover a long list of specialties including Cardiology, Cardio Thoracic Surgery, Nephrology, Neurology, Joint Replacement, Orthopaedics, Kidney Transplantation, Neuro Surgery, Urology, ENT, Internal Medicine, Pulmonology, Endocrinology, Plastic Surgery, Bariatric Surgery, Gynecology and so on. Our Cardiac Sciences Department is renowned across the country for its lightning-quick efficiency and remarkable rates of success. This department is headed by Dr. Gopichand Mannam, who has led his team to perform over 27,000 surgeries in the past several years. 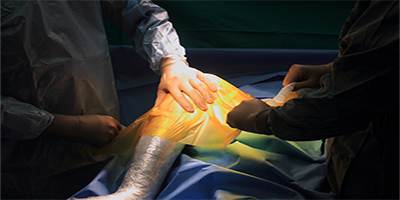 The Department of Orthopaedics and Joint Replacements is another area that has brought much credit to STAR Hospitals. 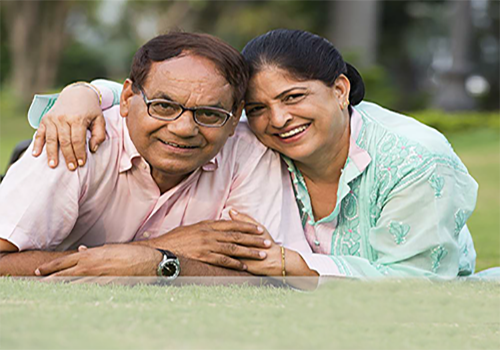 Our experts carry out all kinds of joint replacements using state-ofthe- art surgical techniques. This department is equipped with a full-fledged Rehabilitation and Physiotherapy Center and a Pain Clinic for painless post-surgical recoveries. Housed in our new ‘B’ block, STAR Institute of Neurosciences and Trauma offers some of the most comprehensive set of neurological services in the city. Percutaneous Endoscopic Lumbar Discectomy (PELD) is an advanced surgical procedure offered here, wherein patients literally walk out pain free at the end of the surgery. The STAR Institute of Renal Sciences is another renowned department of the hospital. Our experts offer treatments for the entire spectrum of Nephrological and urological disorders. 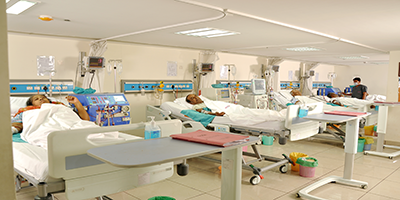 A dialysis unit runs round the clock to facilitate quick & patient friendly treatments. We also have in place rigid protocols to monitor each dialysis procedure. The facilities at STAR are unparalleled in the city of Hyderabad. For instance, our Neurology department is equipped with a Video EEG, a 32-Channel, 1.5 Tesla MRI, a 128-Slice CT scan machine and a dedicated Neuro ICU. Likewise, the Cardiothoracic team at STAR was the first in India to use an Octopus Tissue Stabilizer and a Starfish Cardiac Positioner. 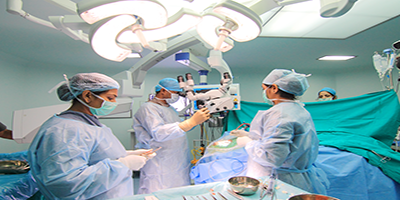 The same team also performed the first robotic heart surgery in South India. From world-class ICUs to ultra-high-end microscopes and operation theatres, we have everything in place to ensure the best possible health care for our patients. All our services and systems have been thoroughly scrutinized by the NABH, while our Department of Laboratory Medicine is accredited by the NABL. 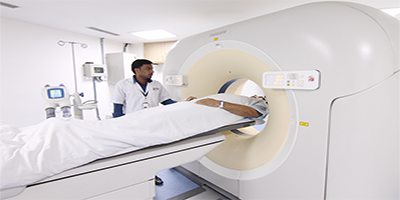 The NABH and the NABL are trustworthy quality assurance standards in India. Our hospital maintains a comprehensive website where you can find out more about our services. Alternatively, you can also reach out to our 24/7 customer care if you wish to speak in person. Rest assured, any detailed inquiries you make will be quickly attended to. We usually respond to queries within 24 hours with details of diagnoses, treatment plans and treatment costs. Our contact coordinates are provided on the back cover of this handout. Assistance in sending the medical visa invitation letter. Help with visa procedures and formalities. Airline and Transit Information guidance will be provided. Arrangements upon requests will be made for Boarding / Lodging in India. Arrangements for shifting patients from Airport to Hospital will be provided on request. Star hospitals will fully assist you with Foreign National Regional Registration(FRRO) arrival formalities. Yet another effort to make your stay comfortable. Our medical consultants will coordinate with you prior to your arrival. Our consultants will propose a plan of care prior to your arrival which will be reviewed and adjusted after further evaluation in the hospital. Star hospitals will provide visa & travel assistance as well. Appointments and surgeries will be scheduled as per the patients requirements. In-house international and customized cuisines are provided to each of our patients. Efficient room service that takes care of any of your immediate needs. International telephone facilities & 24x7 wifi service. Provides regional food for patient and attendant. An interaction with our Senior Doctors before your procedure of treatment begins. During your stay, our expert doctors will visit you every day to check on your progress. A dedicated International Patient's Desk Services will be available as a single point of contact to coordinate all your requirements. 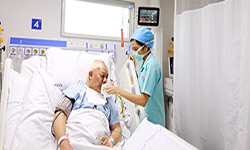 Complimentary translator assistance is provided for all non-English speaking patients. Local mobile registration - all communication needs are taken care where local mobile connection is provided on request. .
Airport transfers are provided to all our International patients who are flying to the city of Hyderabad. Based upon your requirements, hotel arrangements can be made. A patients’ desk that serves for any updates / feedback as a single-point-of-contact to meet all your requirements. Our doctors will also interact with the healthcare professional in your home country. On request your family / friends will be updated about your recovery. Provision of follow-ups treatment through Tele-Conference, Video Conference, Email, Skype and FaceTime. Continued information regarding health and medicine. After being discharged, we’ll provide with sightseeing, city tours, shopping and other tourism options. We’ll also help you obtain 3-Star and 4-Star accommodation at discounted costs. Assistance for choosing the right holiday packages, Ayurveda spas, etc. Finally, when you’re healthy and ready to leave, we’ll also provide a complimentary airport drop with fit to fly certificate. Many of our doctors are notable alumni of highly reputed International Centres and our team ensures that medical tourists here get the best possible care. STAR hospitals predicts a 99.2% success rate. So when you choose STAR, you can believe that you’re in safe hands.
" I am very happy with the team at STAR Hospitals... I have a new life, a second chance. Now I can lead a life like my friends.."
" I had the most comfortable experience at STAR Hospitals. The doctors and the nurses who treated me were very caring. My stay was taken care of in every possible way, from personalized meals to airport transfers. I simply had to choose STAR and forget all my worries. " " I was initially scared of what would happen to my child. But the doctors at STAR put all my doubts to rest. They patiently answered all of my queries and took the best possible care of my child. Now my little girl is as healthy as anyone could ever be. "